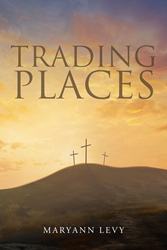 “Trading Places” from Christian Faith Publishing author Maryann Levy is a moving book of poems about God’s enduring love, saving grace, and faithfulness evident in her life as a Christian, showing various reasons why surrendering one’s life to the Lord is life-changing and why he deserves all praises. “Trading Places”: a touching poetry collection featuring the first poem she had written when she was not yet a Christian and the ones she has produced after becoming a Christian. “Trading Places” is the creation of published author, Maryann Levy, a U.S. Army veteran who became a Christian eleven years after writing her first poem. Published by Christian Faith Publishing, Maryann Levy’s new book is a riveting work featuring the first poem she wrote for a ninth-grade class, the poems inspired by her experiences in life and her encounters with the Lord, and the poems that reflect a nation’s political climate and its fight against terrorism and other illegal matters. The differences between her first poem and the poems she has produced after becoming a Christian show how God has changed her negative outlook in life. Her book brings people closer to the Lord through her powerful writing. View a synopsis of “Trading Places” on YouTube. Consumers can purchase “Trading Places” at traditional brick & mortar bookstores, or online at Amazon.com, Apple iTunes store, or Barnes and Noble. For additional information or inquiries about “Trading Places”, contact the Christian Faith Publishing media department at 866-554-0919.